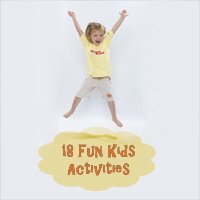 Coming up with fun activities for kids can be challenging, as there are many things that your kids just may not want to do no matter how fun you make them. 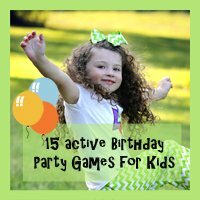 You will find that many of the things to do with kids that you try to start may not go over well, which is why having a wide variety of fun games for kids can be a good idea. You will find that there are many great indoor activities for kids, outdoor games for kids, and kids sports games that you can play, and it’s worth spending some time researching new games or trying to invent some of your own. 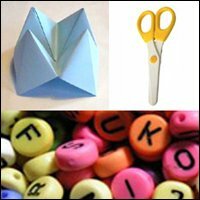 This is an excellent activity to help kids expand both their creative skills and their imagination, and you will find that it will be one of the best easy kids crafts to do. For this activity, you will need some paints, paper or canvas, the art supplies that you will use for painting, and some classical music. Find a long piece of music that will run for at least 10 minutes or so, and play the music for the kids. They will need to close their eyes for the first few minutes of the song to tune in and get in the mood, after which time they can open their eyes and start painting whatever it is that they see in their mind’s eye. 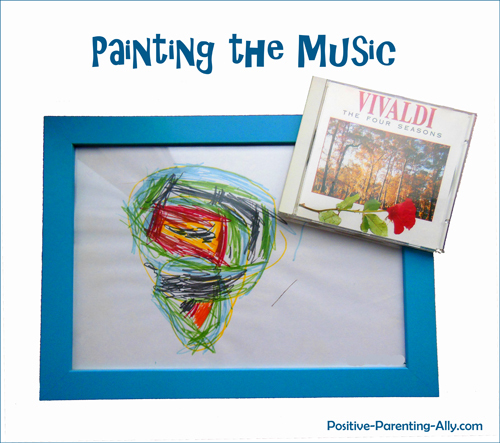 You will be amazed at the wide variety of shapes, colors, and images that will pop into your kids’ heads, as the music will make each child respond in a different way. It will be quite interesting to see how the music sparks their creativity, and you can experiment using all kinds of music – instrumental rock, sounds of nature, hard rock, techno music, etc. There is no way for your kids to make a mistake on this project, as it’s a project that will allow them to express their inner creativity. It’s one of the many music games for kids that you can play, and it’s guaranteed to be a hit! This is one of the best art games for kids that you can play, as it will help them to learn about the difference between oil and water based items. You will need some regular color pencils, along with a lot of black crayons. Simply have your children color lines or a rainbow pattern into their piece of paper, and make sure that the entire paper is covered with colored lines and swirls. Only once their papers are fully colored can they move on to the black crayons. They will need to color the entire paper with the black crayon, making sure that the whole page is covered in a layer of the black oily crayon. This is where they can learn about how oil is thicker than water, which is why the crayons add a new layer instead of just coloring over the pencil. You will then give them toothpicks, which they will use to make an etching in their crayon. The color underneath will add a lot of depth and life to their black etching, and it will be amazing to see just how creative your kids can be. One of the best fun activities for kids will be dressing up, and there’s something about dress up games for kids that most children just can’t help but loving. The goal of the game is to see who can get dressed and undressed as quickly as possible, so you will need to fill a couple of boxes with a dozen or so clothing items each. Set each of the boxes at the other end of the room, and use a timer to calculate how long it takes the kids to put on all of the clothes and take them off. The beauty of this game is that each of the kids will have fun throwing on the clothes, clothes that will often be too big or too small. There is no rhyme or reason to the game, but it’s all about having fun getting dressed and undressed as quickly as possible. You can play this game with as many variations as you want, and there are so many great rules that you can use to spice up the game. However, it’s definitely one of the best fun things to do with kids, no matter how old they are. Coin collecting for kids may not sound like the most entertaining idea, but did you know that it can be quite fascinating if it’s done right? The U.S. has released quarters for each state in the country, and you can collect these quarters as an activity with your kids. You can throw all of your change into a jar every time you come home, and the change will begin to accumulate over time. Once you’ve gotten the jar pretty full of change, it’s time to look through it for quarters. When you find the quarters for the various states, make sure to separate one per state. You can buy a large map of the United States – making sure that each of the states is clearly demarcated on the map. 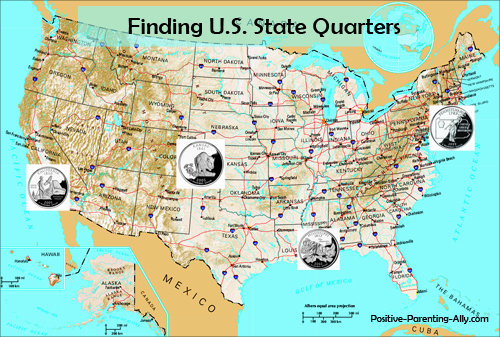 You can then tape each of the quarters to the map, ensuring that the state side of the quarter is clearly visible. It will be a fun game for you to collect all of the quarters from all 50 states, though it will be a challenge. You can go to your local bank to see if they have any of the quarters that you’re missing, and your kids can ask all of their friends to check their quarters for the missing coins. Yoga for kids is something that many parents try, as Yoga is an excellent form of exercise. However, most kids find that yoga can be kind of boring, but you can turn it into a crazy game resembling Mother May I or Simon Says. 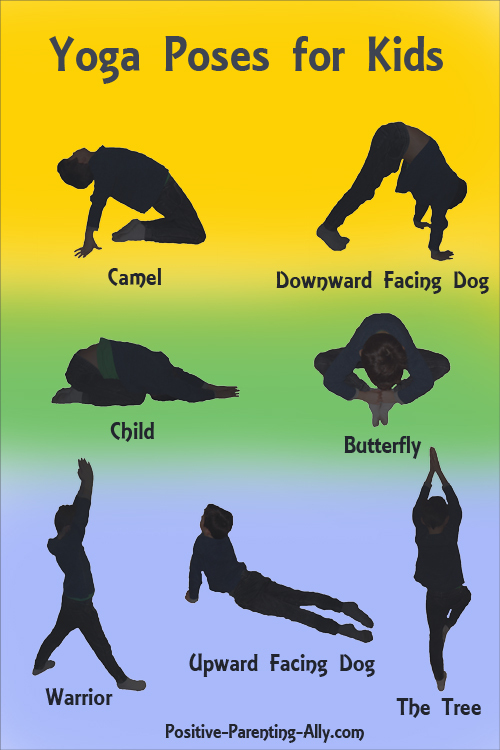 For this game, simply teach the children each of the simple postures that they will need to get into, such as Downward Facing Dog, Warrior Pose, etc. Go through each of the poses quickly until they know them properly. Now, stand on the other side of the lawn, and call out the Yoga poses that they will need to assume. You can use either Mother May I or Simon Says as the game that you’re playing, and the children will assume the positions as directed. It can be one of the best kids outdoor games to play on a summer day, as you can all enjoy being outside on the grass. 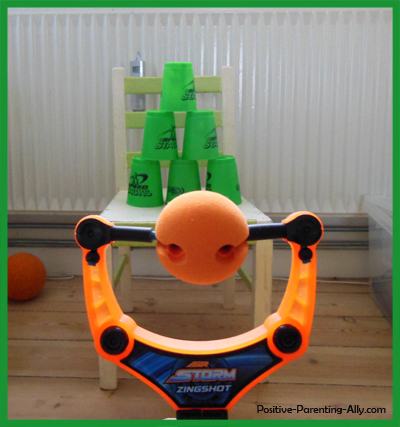 It will be great exercise for the kids, and you can even play along! If you want to play a game that your kids are guaranteed to enjoy, trying different hairstyles for kids can be a game that will be a lot of fun. For this game, you will need one wig per child, along with a couple of pairs of hair cutting scissors. Be very careful with the kids when they handle the scissors, as they can be very sharp and may end up injuring someone if you aren’t careful about how you use the scissors. 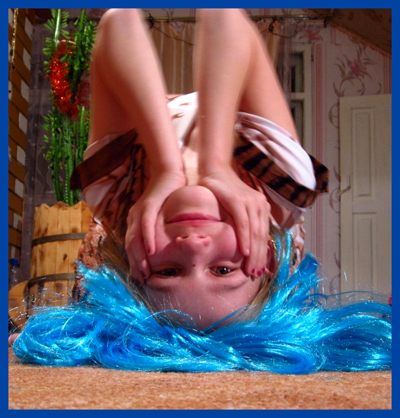 Give each of the children a wig to put on, making sure that their natural hair is bundled tightly under the wig. The kids can take turns giving each other a haircut, using the long wigs as the base from which they will make the hairstyle. You can give each of the kids a hairstyle to try, or they can come up with their own from a magazine or book that they can read. Make sure to teach the kids how to cut the hair at an even length, and have fun letting them exercise their creative hair cutting skills on each other’s wigs. War is one of the best card games for kids, as it will involve a whole lot of luck with a bit of number recognition included in it. You will find that it’s an easy game to play with kids of all ages, and it’s definitely one of the best fun activities for kids. All you will need to do is deal out a deck of playing cards equally to all of the players, and each player will need to turn over the top card (deck facing downwards). The person that shows the highest card wins the round, and the game continues until one player has all of the cards. Should the two highest cards in the round match, the players go into War. This involves placing three cards face down, and turning over the fourth card. The highest card wins, though another war is incurred if the cards show the same value. You will find that it can be a fun game to play, as you can add rules like “The loser of the war has to run around the house three times” or “The winner of the war has to fetch a cookie for the loser”. You can add your own rules to the game, and it will be a whole lot of fun for your little ones. This game is one of the best animal games for kids, though it will also be one of the best summer activities for kids that want to get out of the house. You can invite kids from the neighborhood to come play this game, and it will be plenty of fun for everyone. All of the kids will simply sit in a circle, and one person will stand and go around the outside of the circle. As they circulate, they will pat each person on the head and say, “Duck”. When they have reached a person they want to call up, they will say “Goose”. That person has to stand up, chase them around the circle once, and catch them before the caller sits down in the space previously occupied by the chaser. If they cannot catch them, they will take the place of the caller. If they do catch the caller, they sit back down in their place and the caller resumes circulating around the outside of the ring and calling out, “Duck, Duck, Goose!” until they have made it safely to a vacated space. 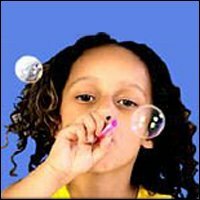 If you want to play carnival games for kids, you will find that setting up your own home carnival can be a whole lot of fun. You probably have most of the items that you need easily available, and anything you don’t have can usually be obtained quite simply. You can stack up a bunch of cups and have your kids throw whiffle balls at them, or you can stand items up against the walls and let the kids use their BB guns or airsoft guns to try and knock them over. You may not have a carousel, but you can turn a tire swing into a fun ride. If you have a swing set, you can hang colorful ribbons from it and make it look like a fun ride that the kids can enjoy. Play some of the popular calliope music that is always going on in the background, and dress up like a clown in order to make animal balloons. It can be a lot of work to set up your home to be the carnival, but you’ll find that it will be one of the best things to do with kids that want to be active come summer time. 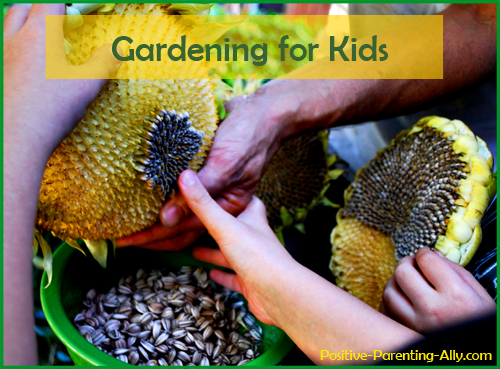 Gardening for kids can be a wonderful activity, as the kids will be able to learn more about plant life while making a difference in the ecosystem of your home. You will find that allowing the kids to plant their own garden can be a whole lot of fun, and it will be one of the best summer activities for kids that want to spend most of their time outdoors. It may involve a lot of getting dirty, but it’s definitely going to be an activity that your kids will love. All you will need to do is section off a small portion of your property, and let your children plant their favorite plants or seeds there. You can give the kids a tract of land about a foot and a half wide by long each, which means you won’t take up too much space in your real garden. You can let them plant apple seeds, orange seeds, flower seeds, roots from plants they have found, or pretty much any plant they get their hands on. It can be a good time to teach them about gardening, as well as caring for plants through regular watering, fertilizing, soil treatment, etc. They will be able to grow their own plants in your backyard, and it will be a project that they can keep up during the summer. 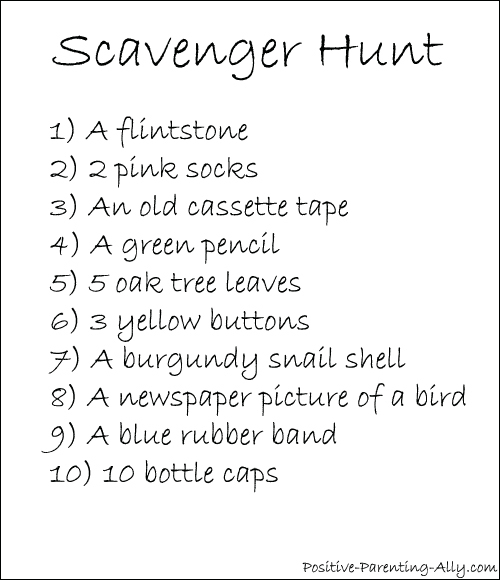 There are few things that will be more fun than a scavenger hunt for kids, as they will be able to exercise their creative thinking skills in order to be able to find certain items that they may not be able to locate around your house or the supermarket. In fact, if they have to think hard to find certain items, it will make it a lot more productive for them. You can get creative with the list, coming up with items like “old tennis shoes”, “broken ball”, and so on, and your kids will have to think creatively in order to find those items. You can bring your kids along to a junkyard if you want to find some more creative items, though it’s important that you’re safe. There are items they can purchase at the store (you’ll be doing the purchasing of course), as well as items that they will need to cut out of newspapers, magazines, etc. Some of the items they will be able to make, while they will probably have a few of the things that you’re missing. You can set a deadline if you want, or you can just make the scavenger hunt last all summer long. It’s up to you to determine what the length of the hunt is, but rest assured that it will be a fun one for your kids! Not all basketball games for kids involve shooting hoops, but four square may actually be a better game for you to play if you have little girls or boys that can’t quite get the ball into the hoop just yet. You will find that the game will require a basketball, as well as a simple concrete court. You can use a piece of chalk to draw one very large box, and you can draw lines down the center of that box in order to divide it into four smaller boxes. Once you have your four smaller boxes, each person can stand in a box – your box being the starting box. You will drop the ball to bounce once on your square, and you will hit it so that it will bounce inside another square. That person will have to hit the ball out of their square and into another one before it bounces again, and on and on the game will go. If the ball is hit out of bounds or allowed to bounce twice in one box, the person that made the mistake will go the bottom box (to be determined by you). The goal of the game is to get to the starting box and stay there for as long as possible. 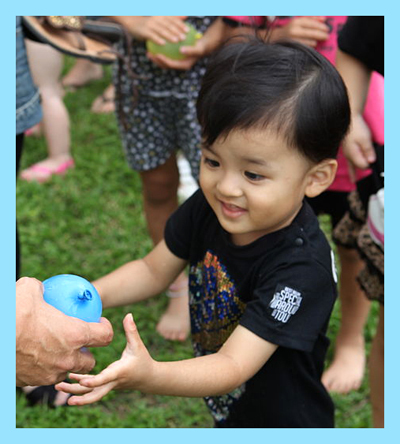 There are many water games for kids that you can play, but probably the best of the best fun activities for kids will be a water balloon fight. You will find that being able to throw balloons filled with water at each other will be a great way to cool off come the hot summer months, and you and your spouse can turn a water balloon fight into something incredibly fun. Depending on the number of people enjoying the water balloon fight, you may need to purchase a whole lot of balloons. Usually about 40 balloons per person is a good number, but remember that it’s going to take a lot of time to fill up all the balloons. You should fill up all the balloons before you get into the fight, and divide the balloons into two buckets. Simply give each team a bucket of balloons – divide the teams however you want – and get started throwing them at each other. For hours of endless fun, it definitely doesn’t get much better than this on a hot summer day. There aren’t too many picnic games for kids that you can play, but you will find that turning your picnic into a fun game will actually help to liven it up. 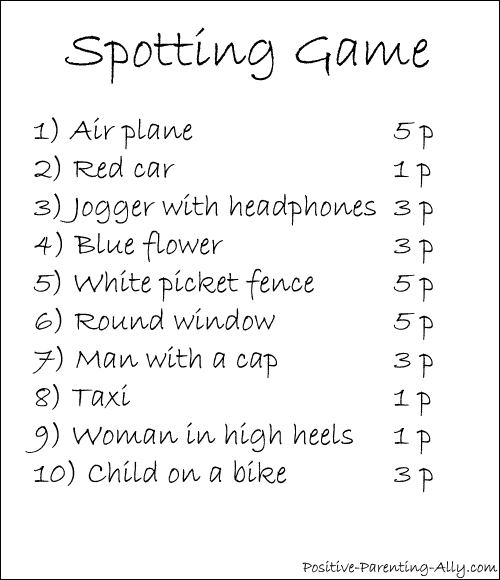 For this game, you will need to make a list for each person in your family, and the list will need to have things that your children, spouse, and you will need to spot. For example, on one list you can put “Airplane”, while on another list you can put “red car”. Each person will need to spot all of the things on their list in order to win, or at least spot the most. As a variation to the game, you can give each item on the list a certain number of points. You can give the points according to the chances that the thing will be spotted. For example, a tree can be just one point, but spotting a “jogger with headphones” can be 5 points. You can make the point system as simple or complex as you want, and the person that goes home with the most points will win the game! This was the end of this fun activities for kids page. I hope you feel inspired to go and try some of the games our. Enjoy! 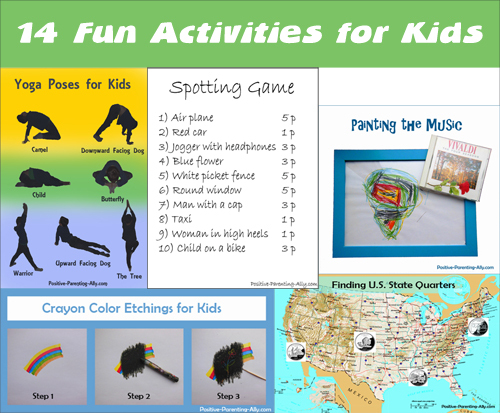 Find Fun Activities for Kids and Educational Things to Do with Kids. - A True Well of Things to Do with Kids for Every Occasion. Ideas for Planning Active Birthdays. 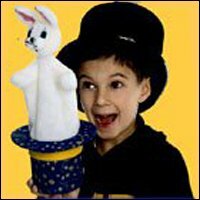 Simple Step-by-Step Instructions for Kids Magic Tricks. 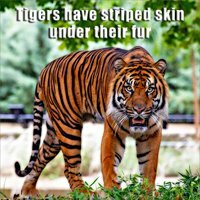 Fun Animal Games for Kids That Stimulate Both Brain and Body. 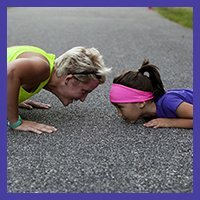 5 Creative Ways to Teach Exercises for Kids. Fun and Easy Arts and Crafts for Kids that Make Memories for a Lifetime. 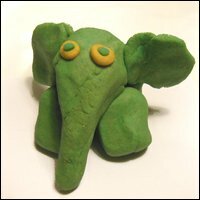 Easy Play Doh Recipe for Making Colorful, Non-Toxic Homemade Play Doh. 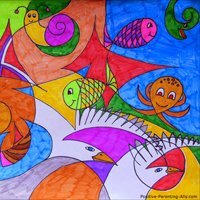 Fantastic Drawing for Kids Kandinsky Style Made Easy.